I can't believe it's already December, where does the time go? Today I have made a fun Christmas card that neatly tucks a gift card inside. 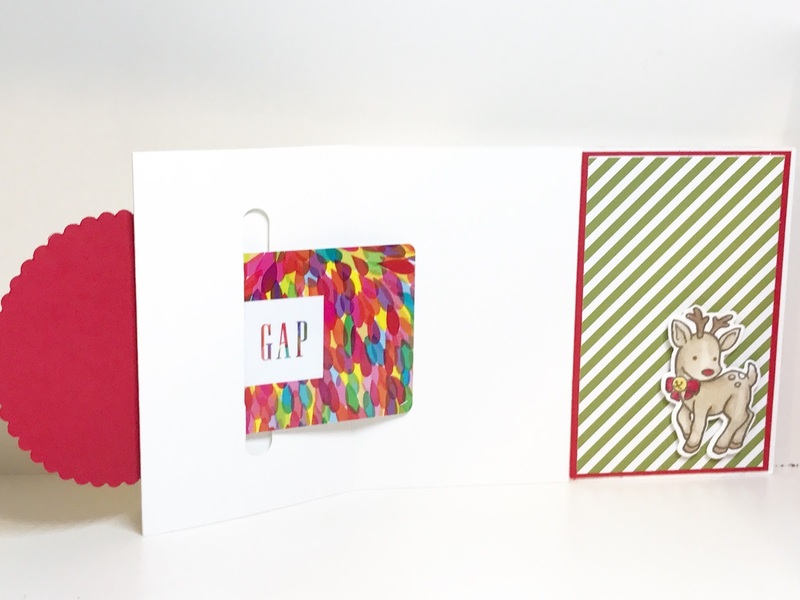 Such a fun way to give a gift card! Isn't this little deer from the Seasonal Chums Stamp Set just the Cutest Little thing!? I just love him and he keeps making an appearance in lots of my cards these days!! 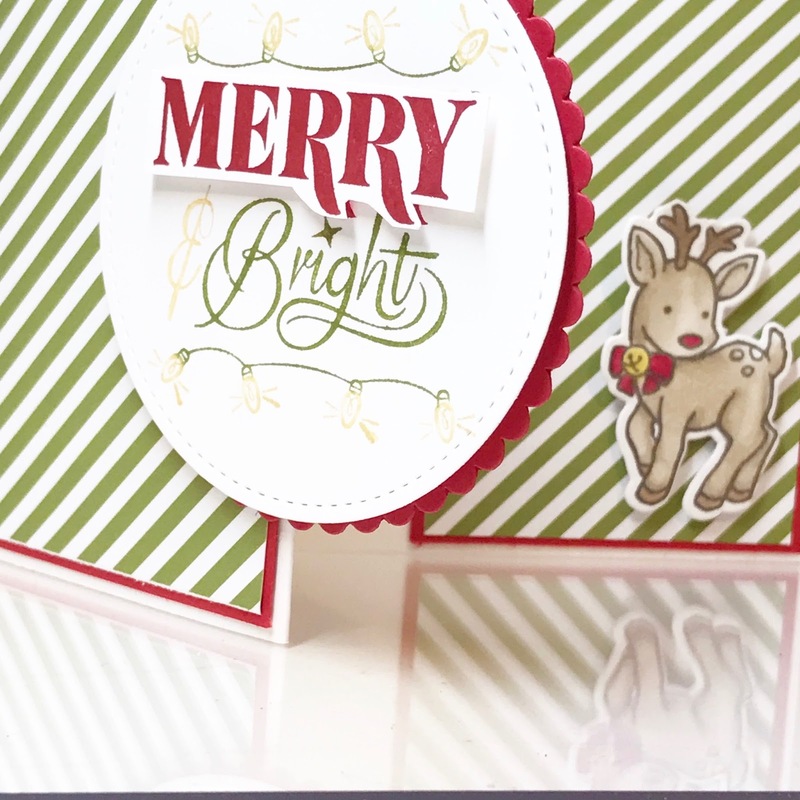 These are so easy to make using just a 1/2 sheet of card stock a few folds, some pretty paper and of course stamps! You can whip up several of these in no time... Perfect too for any last minute gifts 😊 Make a stack and you'll be totally ready this Holiday Season! I have teenagers so gift cards are a gift we use often so I am always looking for great gift card ideas. What's your favorite way to give a gift card? 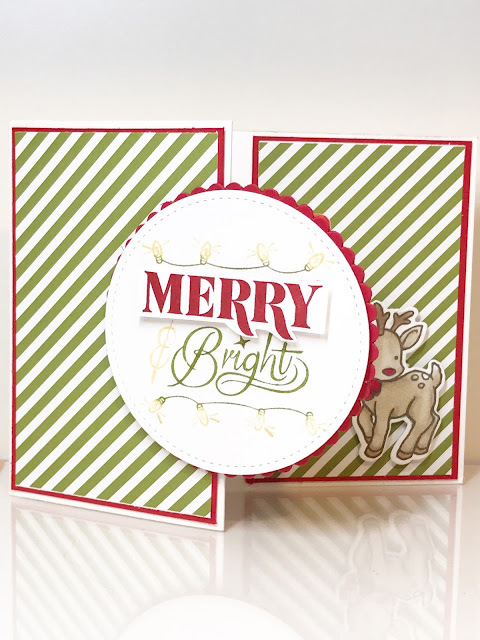 Leave me a comment and let me know and in then be sure to continue hopping along and see what great ideas my fellow Glitter Queens are sharing with us today. Here's a list of the Glitter Queens hoping today, be sure to check them all out and leave a comment for them to show them some Holiday Cheer! !